Price per hour with two hour minimum. The Santa Claus performance starts at 30 minutes, with the activities tailored for your preference. 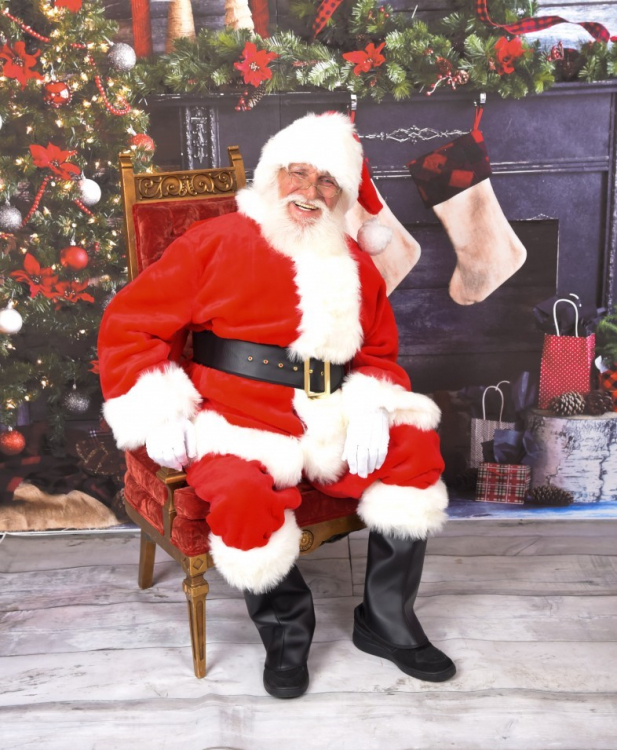 Visits often include singing holiday favorites such as Jingle Bells and We Wish You A Merry Christmas; animated storytelling of Twas The Night Before Christmas; magical holiday cheer; and of course, the traditional photos on Santa's lap. If the party host wants to provide gifts, Santa Claus can also pull them from his sack and distribute them to the children.